Make a stunning appearance at your black tie event in this mesmerizing long Romance Couture dress. 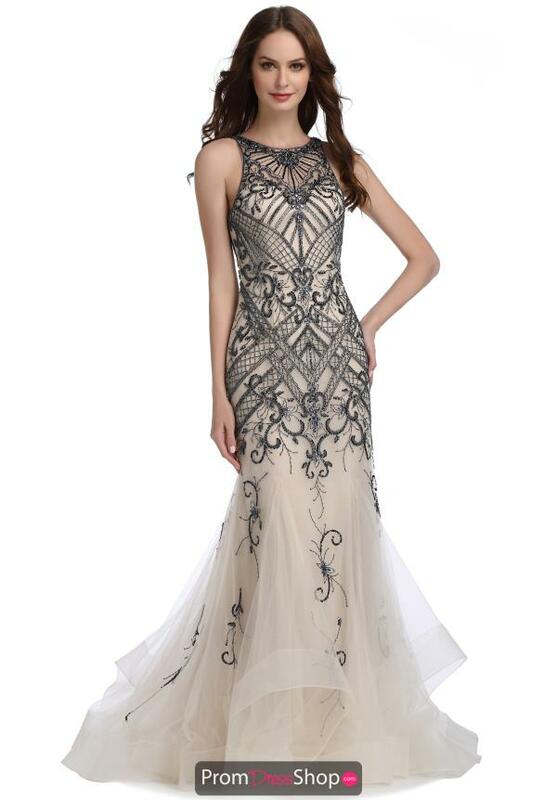 Style N1482 showcases high neckline featuring intricate patterns of appliques along the silhouette for a jaw dropping effect. The slim fit hugs your figure nicely and is completed with a dramatic flare of tulle at the bottom. For comfort this dress is made with a full zip up back perfect for easy wear.